MONTGOMERY COUNTY, Texas — After being on the run for several hours, an escaped prisoner is now back in custody. 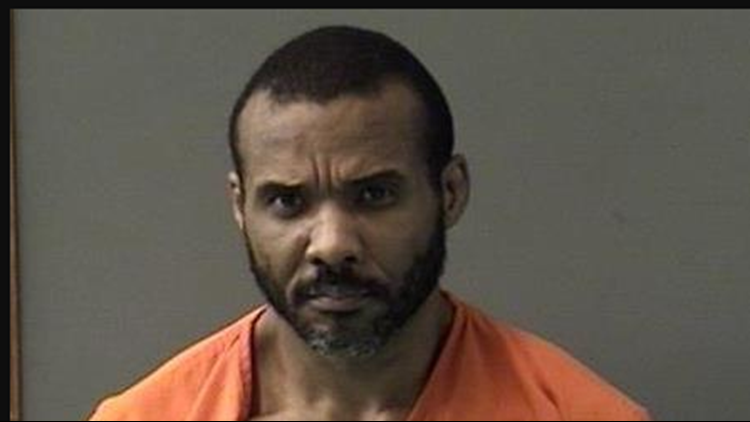 Cedric Joseph Marks, 44, who had managed to get away early Sunday morning, was found hiding inside a trash can between homes in Montgomery County. He was taken into custody without incident. Marks escaped at around 7:30 a.m. near the 800 block of N. Loop 336 West. He got away when the transport vehicle he was in stopped at a McDonald's. The Conroe Police Department said there were two guards and 10 prisoners aboard when the vehicle stopped at McDonald's. During the search, residents in one part of Conroe were told to stay inside their homes. Marks is charged for the double murder of 28-year-old Jenna Scott and 32-year-old Michael Swearingin in Temple. Their bodies were found buried in Oklahoma last month. Marks was in the news in the days following the disappearance of his ex-girlfriend, Jenna Scott, and her friend Michael Swearingin. The two were last seen Jan. 4. Their bodies were found in the small town of Clearview, Oklahoma, south of Tulsa, Jan. 15. Marks, who was once a trainer at Title Boxing in Killeen, is a suspect in their deaths, the Conroe Police Department confirmed in a press conference. Marks was in transport from Grand Rapids Michigan to Bell County, Texas for a warrant for allegedly breaking into Scott's home on Aug. 21. Two more women entered the scene when Marks' wife, Ginell McDonough, and another woman, Maya Maxwell, were arrested in Muskegon County, Michigan on Jan. 11. McDonough was charged with harboring Marks and Maxwell at her home between Jan. 5 and Jan. 9. During her arraignment Jan. 16, a judge set McDonough's bond at $75,000 for harboring felons. Maxwell proved to be the first direct connection to the disappearance of Scott and Swearingin. According to a Temple arrest affidavit, Maxwell told detectives in a voluntary interview she took Swearingin's vehicle to Austin in an attempt to hide it from law enforcement. The vehicle was found Jan. 6 in an area of Austin that Swearingin's mother said her son would never go. Maxwell was brought back to Bell County Jan. 29 and booked into the Bell County Jail on a $500,000 bond. The circumstances surrounding the escape are currently under investigation including interviews with the transport company and other inmates on the transport van.